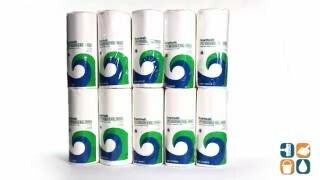 These Green Seal certified paper towel rolls from Boardwalk are heavily embossed to provide enhanced absorbency and performance. Boardwalk Green roll towels are made entirely from recycled materials. As with all Green Seal certified products, these paper towels contain no added pigments, dyes, inks or fragrances. Environmentally safe, but still able to provide the softness and absorbency you want from a paper towel, Green Seal 2-Ply Kitchen Roll Towels will not harm your wallet or the environment. 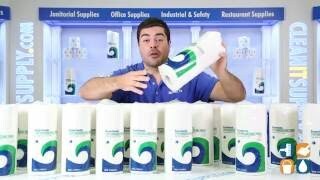 These quality paper towels save time and money, providing you with the performance you need while still helping to achieve environmentally focused goals. Ideal for use just about anywhere, these Boardwalk 2-ply perforated paper towels work in all commercial, residential or industrial settings. Stock up today and save! Compare to ***. We use these in our break-room during snack-times. We use these in our church kitchen and the towels are adequate for us and we like the fact that they are made from recycled materials.